Performance Painting & Staining, Inc. Comment: Requesting quote on painting for foyer, walls, trim and ceiling. Have other jobs, but need this one done first. Comment: Living room and dining room area (one big room with no interior walls) along with hallway. Also one wall in master bathroom. Comment: WE HAVE A 2 STORY COLONIAL WITH ALUMINUM SIDING PAINTED YELLOW. PURCHASED IN 1975 THE PAINT SEEMS TO BE POWDERING AND NEEDS POWER WASHING. THE EAVES ETC HAVE BEEN COVERED WITH A PERMANENT PAINT ALUMINUM. WE HAVE A SUN ROOM ATTACHED (DOES NOT NEED PAINTING) AND AN ATTACHED GARAGE 2 CAR. Rochester Painting Contractors are rated 4.76 out of 5 based on 1,281 reviews of 85 pros. 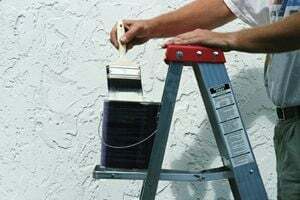 Not Looking for Painting Contractors in Rochester, MI?